JONESBORO – First District Congressional candidate, United States Army veteran, and agri-business owner Rick Crawford announced the endorsement today of former D.E.A. Director, D.H.S. head, and three-time United States Congressman Asa Hutchinson. Hutchinson, who currently resides in northwest Arkansas, is another significant endorsement for the Crawford for Congress Campaign. 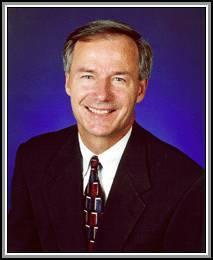 Appointed by President Ronald Reagan in western Arkansas as a U.S. attorney, Hutchinson went on to serve three terms in the House of Representatives before becoming head of the Drug Enforcement Administration (DEA) in 2001. Following the terrorist attacks of September 11, 2001, Hutchinson was tapped to be the head of the Border and Transportation Security Directorate, the largest branch of the Department of Homeland Security. “This is an unprecedented time in both the state of Arkansas and our country as a whole. Voters are fed up with the elitist decisions being made in the House of Representatives by Nancy Pelosi and the Democrats that have put her into power. Rick represents a core principle by which our nation was founded – that of checks and balances in our government,” discussed Hutchinson. “Rick has fought for our freedoms while serving in our nation’s military and now will fight for our nation while serving in Congress,” said Hutchinson. This is the third endorsement this year of an elected official in Arkansas for the Crawford for Congress campaign that includes Governor Mike Huckabee, former Congressman Ed Bethune, and Congressman Asa Hutchinson.